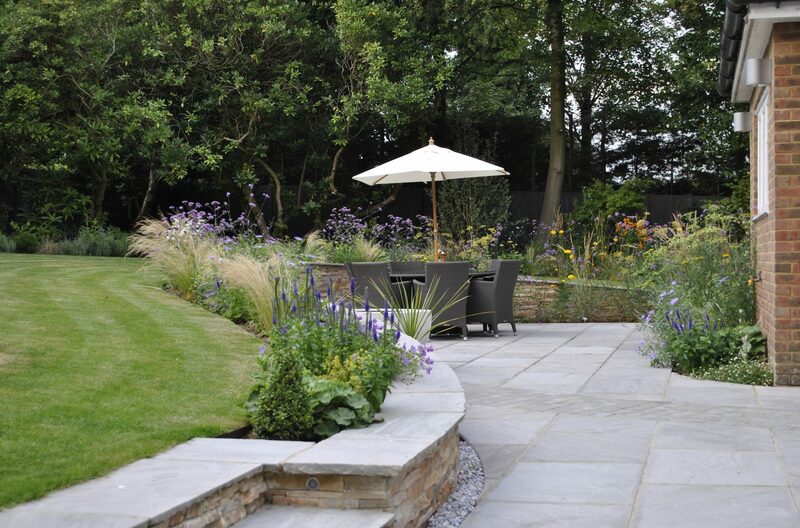 Set in a semi rural spot in West End, Esher; the client wanted a traditional country garden, a summer house and lots of routes around as she knew she wanted to spend as much time as she could outside with her large extended family and young grandchildren. The new design divided the garden into several areas with a large terrace for family gatherings with a traditional parterre planted with scented roses, lavender and soft perennials. 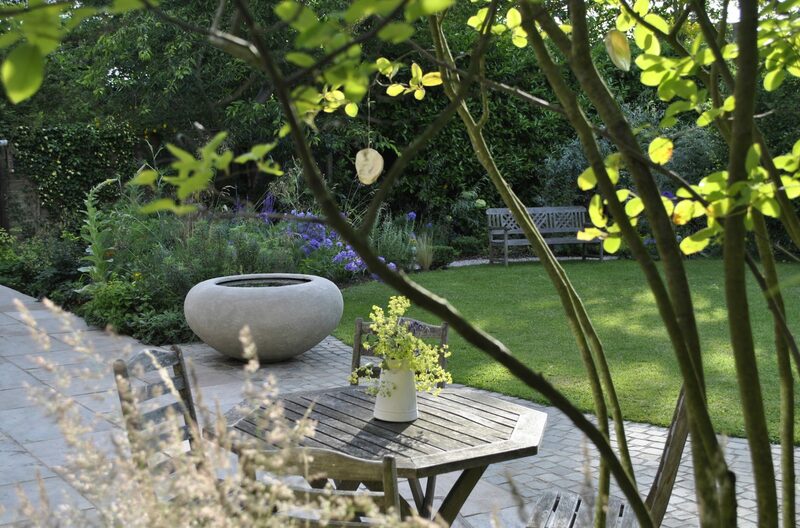 A beautiful Armillary sun dial was used as a feature in this area of the garden. 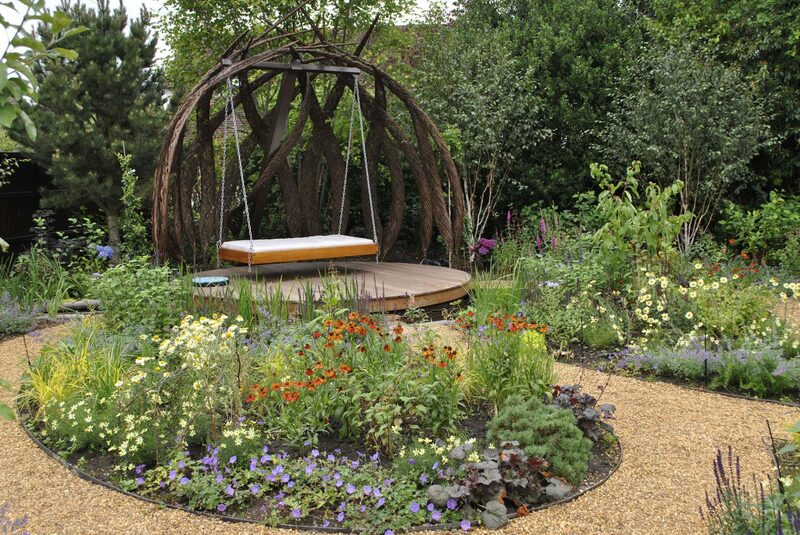 A solid Oak pergola and wall mounted water feature was used to bring interest into a rather damp dismal corner of the garden and a short length of wall created the illusion of a completely walled garden, for a fraction of the cost. Designed for all the seasons. the garden created a spring walk where the client can enjoy close up views of blossom and bulbs, ferns and other spring treasures. A meadow garden with walled garden beds for later summer an autumn. The structure of hedges and yew balls of the long walk creates winter interest. Mid summer the rose parterre and long walk creates a sea of flowers.